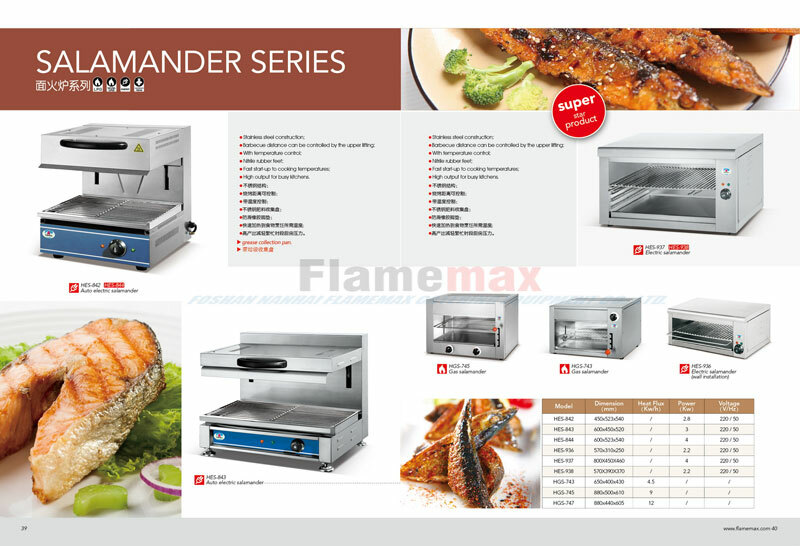 kitchen equipment salamander - China Foshan Nanhai Flamemax Catering Equipment Co., Ltd.
FOSHAN NANHAI FLAMEMAX CATERING EQUIPMENT CO., LTD. was established in 2007, and is aiming at manufacturing and selling west kitchen equipment, and now our products is enjoying a high reputation over European and American markets. Besides, we have many partners both home and abroad. 1. All stainless steel body with adjustable layers. 2. Barbecue distance can be controlled by the upper liffting. 6. 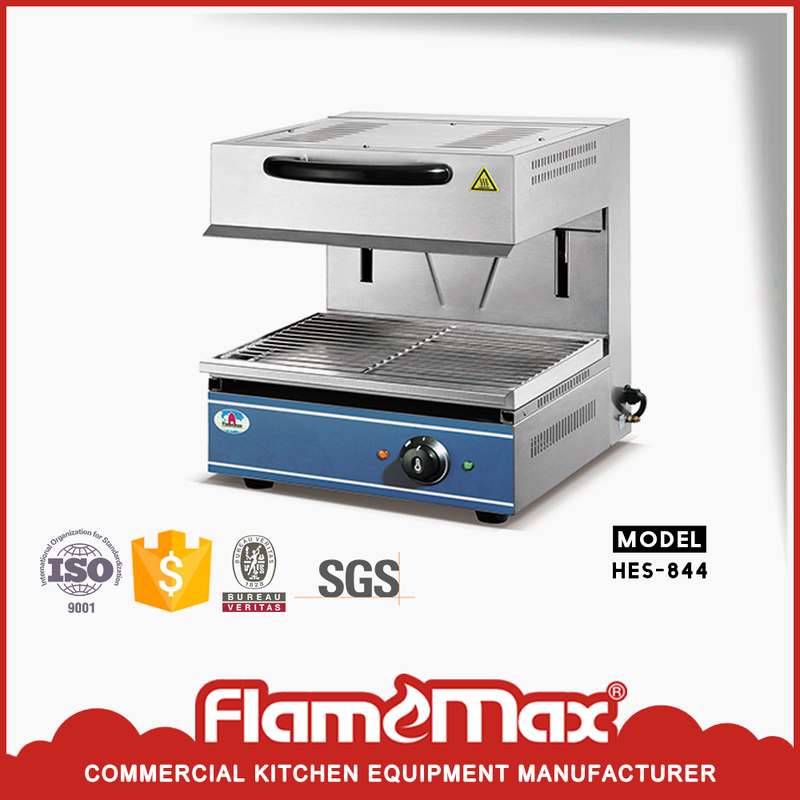 Ideal for reheating foods,grilling toasting,defrosting. 7. Energy saving,fast and high heating efficiency. 8. Attemperator inside,safety and improve thermal efficeency. Like these equipments? Click "SALAMANDER SERIES" for more information!